In this scenario, we are going to have two forms. 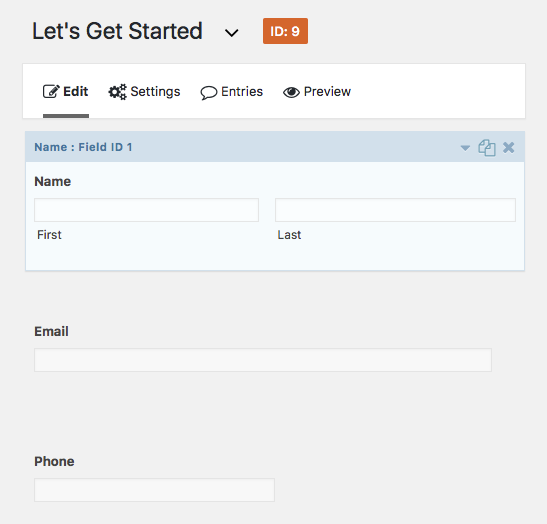 The first form will be a simple “Let’s Get Started” form, intended to be an initial lead capture, containing name, email and phone fields. Our second form, titled “More Details”, will be a more in-depth lead capture form that, in addition to getting the user’s name, email and phone, will also get their mailing address and website URL. 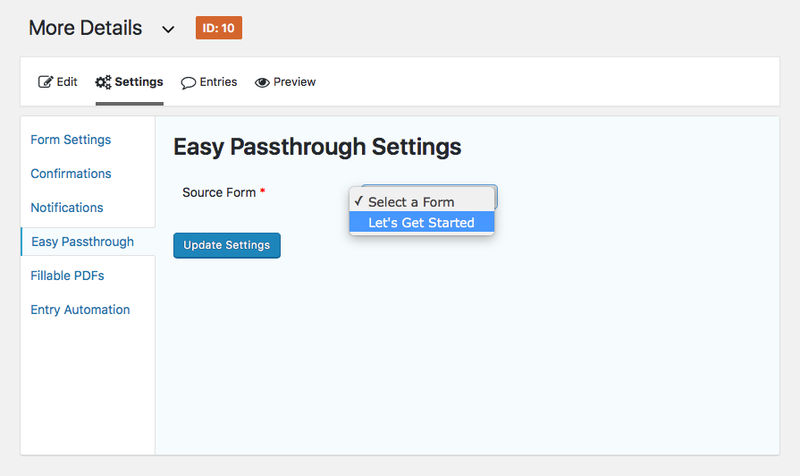 Now that we have our two forms configured, we need to setup Easy Passthrough to send data from our “Let’s Get Started” form to our “More Details” form. 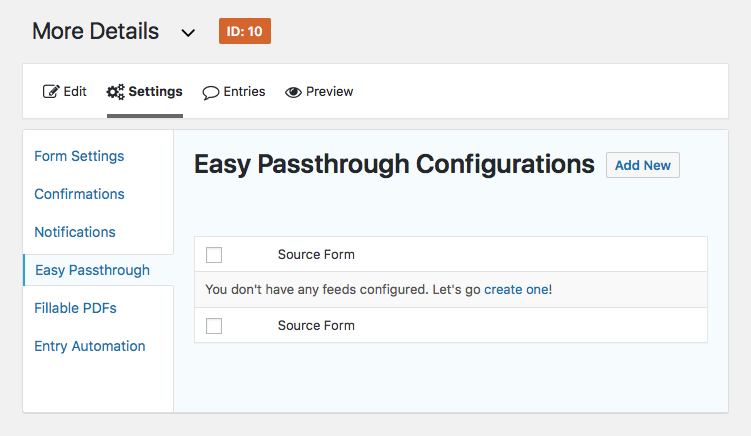 Under the Settings tab in the “More Details” form, we’re going to click into the Easy Passthrough section and click the “Add New” button to create a new Easy Passthrough configuration. Next, we’re going to select the “Let’s Get Started” form as our Source Form, or the form who we want to transfer the user data from. Now, we map which fields from the Source Form (“Let’s Get Started”) we want to transfer the user data to on the Target Form (“More Details”). If needed, we can setup conditional logic to only transfer the user data if it passes certain conditions, like only transfer user data if the phone number starts with a specific area code. Click the “Update Settings” button and we’re done! We’ve now created an Easy Passthrough configuration. While the user browses around our site, any time they fill out a Gravity Forms form, a reference to their entry is stored in their browsing session. 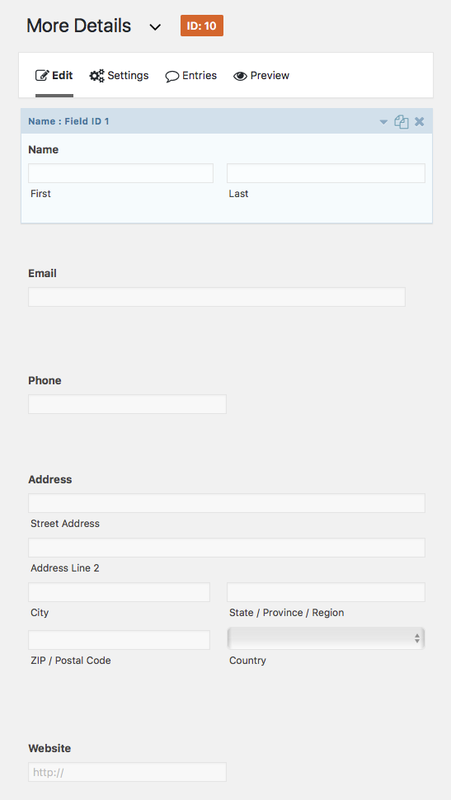 If they view a form that has Easy Passthrough setup, the data will automatically be populated into the form. No messy query strings! No keeping track of what fields are setup for dynamic population! 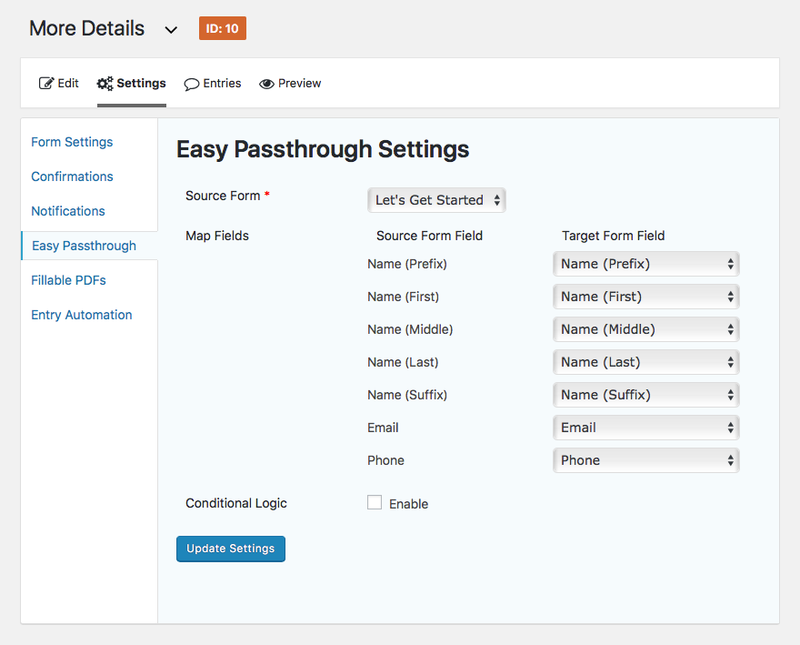 Try a live demo of the sample forms above or experience Easy Passthrough for yourself today!